Green Lantern Corps #0 surprised me. Most of the revamped origins we've seen so far during Zero Month have been darker than the old-universe - Superman lacks the support of the Kent family, Oliver Queen was responsible for people getting killed through his negligence and Mitch Shelley is the good clone of an evil man. So how is it that a character who is synonymous with the 80s Anti-Hero has somehow gotten a less-depressing origin story? 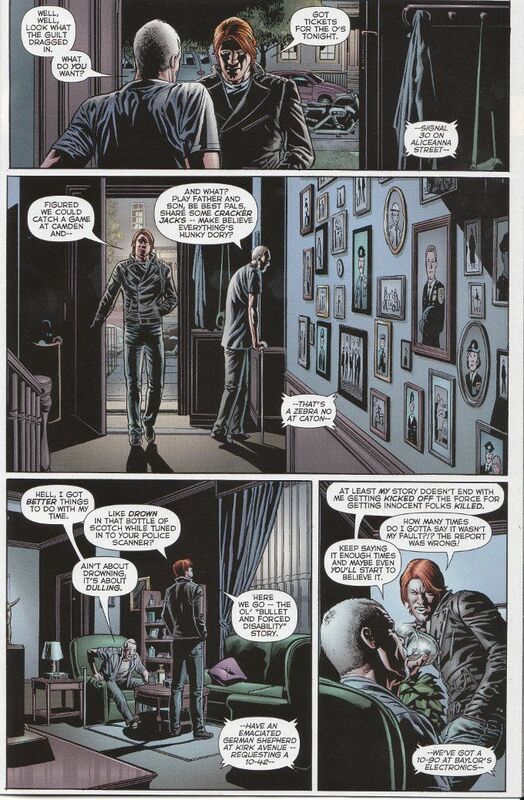 The origin of Guy Gardner we see here preserves most of the elements of the original. Guy still plays Esau to his older brother's Jacob. His drunken father continues to favor his eldest son over the younger Guy. And Guy still idolizes his older brother and is desperate to win the approval of his family. And this is a lighter origin? Shockingly, yes. Peter Tomasi eliminated the child-abuse from Guy's background. More, he gives Papa Gardner a motivation for treating Guy like slime and pushes Guy's "punk" days forward a little, transforming Guy into a street thug rather than a juvenile delinquent. There are other subtler changes, such as Guy now being a neglected middle child with the addition of a younger sister and Guy's beloved older brother having his name changed from the unlikely Mace to the more alliterative Gerard. 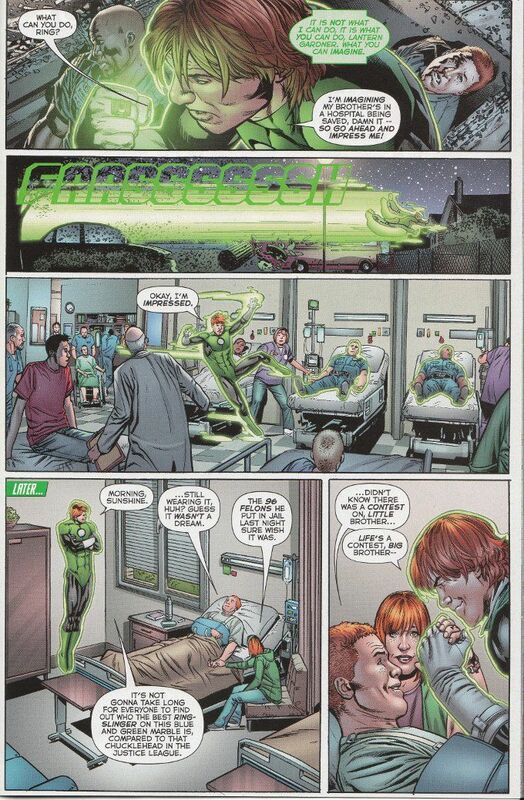 This is all fascinating from the view of a Green Lantern scholar such as myself. But in discussing all this I've missed that all important question - is this a good read? The answer is a hearty yes. Tomasi's script is a great one and he really brings the characters to life. Guy is an immediately sympathetic figure who the reader wants to see succeed - brave, noble and resourceful in spite of his emotional hang-ups. Green Lantern Corps is blessed with one of the greatest and most underrated art teams in comics. Penciller Fernando Pasarin is a master at getting the maximum amount of detail into the greatest number of panels. The inkers know when to tread lightly and when to emphasize the shadows in a scene. And colorist Gabe Eltaeb always seems to know just the right shades and highlights to use. If, for whatever reason, you can only read one Green Lantern comic each month, make it this one. Between Peter Tomasi's scripts and the amazing art team, it has yet to disappoint me. I think you'll all enjoy it too.